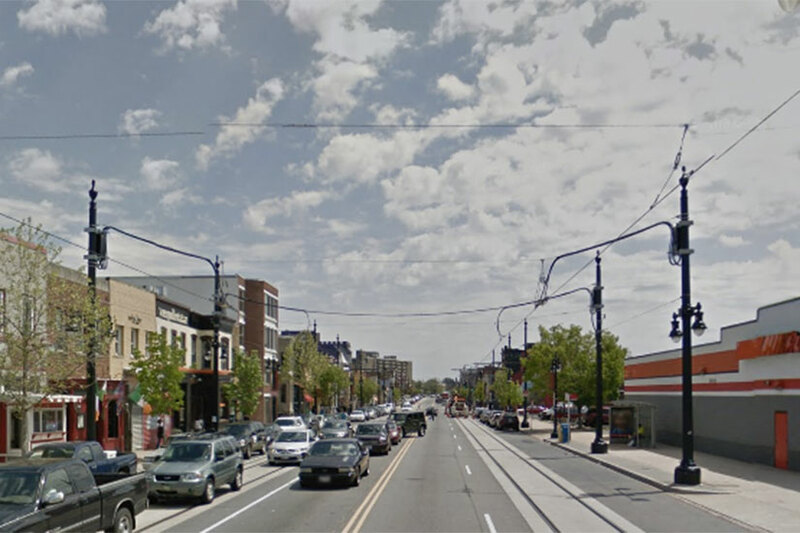 A thief asked a man for cigarettes and then pulled out a gun t0 rob him in Truxton Circle last night, police said. The armed robbery occurred on the 1500 block of 1st Street NW about 7:45 p.m. Tuesday. 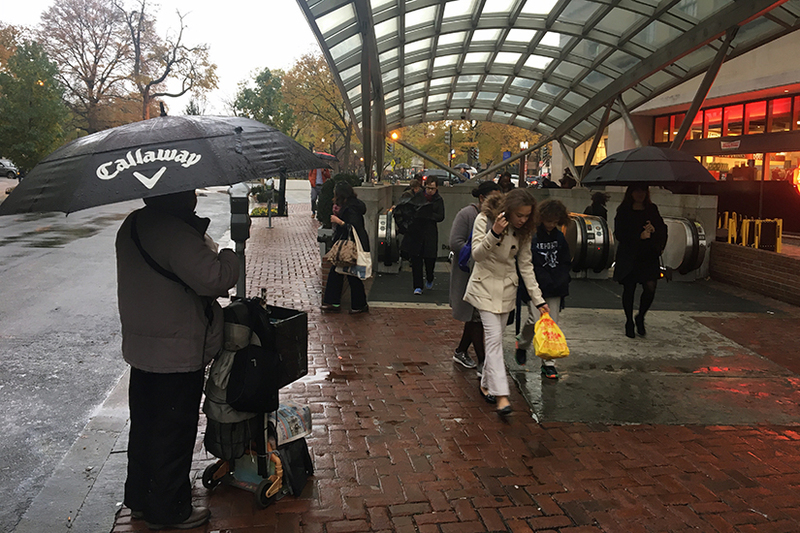 The victim was near 1st and Q streets NW when a man came up to him looking for marijuana, according to authorities. The victim said he didn’t known anyone with weed, and the man left. But he returned and asked for cigarettes. As the victim was pulling out a pack of cigarettes, the man flashed a handgun and took the victim’s wallet, cellphone and Helly Hansen jacket. The robber then hopped into a white car and drove away. 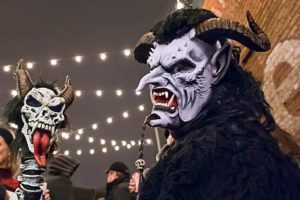 Police released descriptions of two men wanted in connection with the crime. It wasn’t immediately clear what role the second suspect played. A motorist came perilously close to plunging their car into Rock Creek earlier this afternoon. 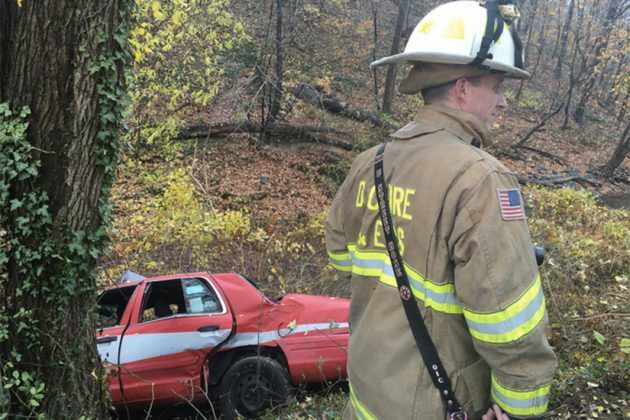 Someone behind the wheel of a taxi ran their car off of Rock Creek Parkway near the exit ramp to P Street NW around 12:30 p.m. today, according to D.C. Fire and EMS. Though the red taxi cab ran over the embankment, it did not continue into the water. One person was taken to the hospital with minor injuries after the crash. Another person was treated on the scene, fire officials said. This isn’t the first time someone has driven off that stretch of road. 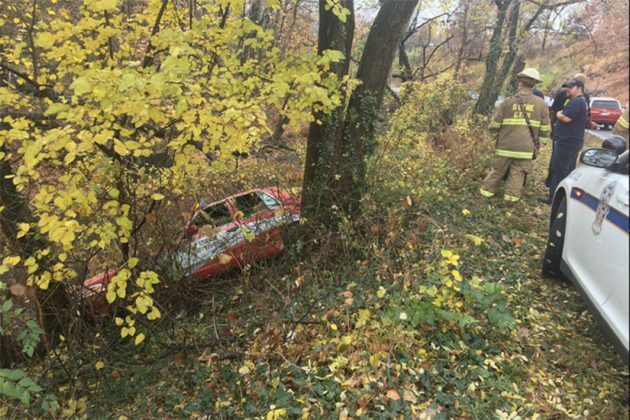 A driver plunged their car into the creek near the P Street Bridge in April. 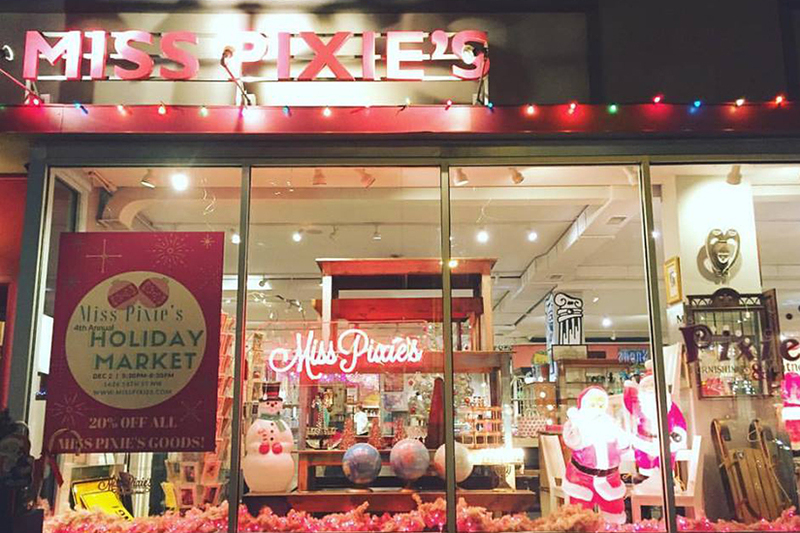 A 14th Street purveyor of knickknacks, furnishings, furniture and local art will transform into a holiday bazaar later this week. 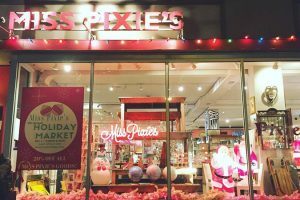 Miss Pixie’s (1626 14th St. NW) is scheduled to host its 4th annual holiday market event this Friday, Dec. 2, at 5:30 p.m.
More than 20 D.C.-based vendors are expected to fill the boutique with handmade goods and other artisan wares. Local businesses slated to attend the event include Typecase Industries, Brand Dave and Handmade Habitat. Additionally, the holiday party will feature live jazz music, a raffle and food from nearby eateries such as Ice Cream Jubilee and Maki Shop. 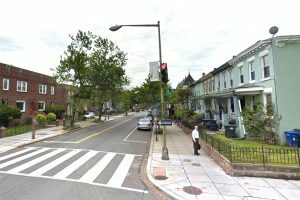 Police are searching for a man filmed grabbing two packages off the front porch of a Columbia Heights home last week, according to authorities. 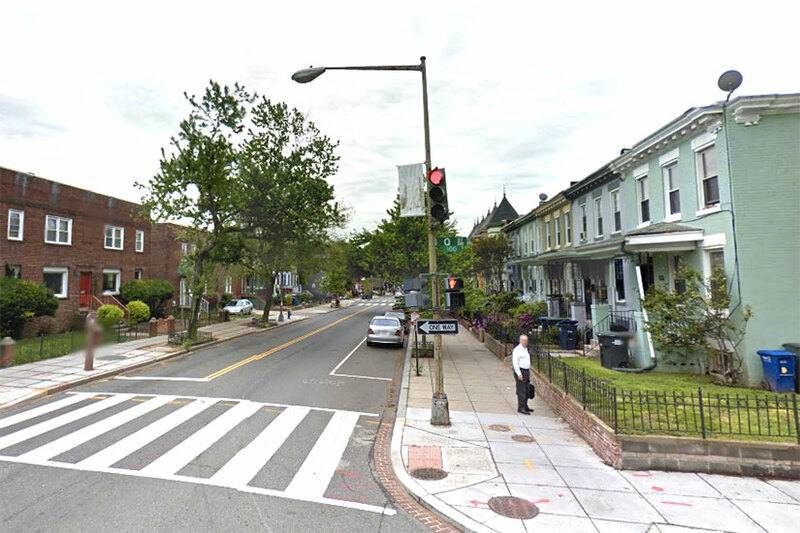 The theft happened on the 3500 block of 13th Street NW about 2:30 p.m. Friday. A home surveillance video police released yesterday shows the man walking up to the two packages and putting a coat over them. He then picked them up and left the porch. It wasn’t immediately clear what was in the packages. 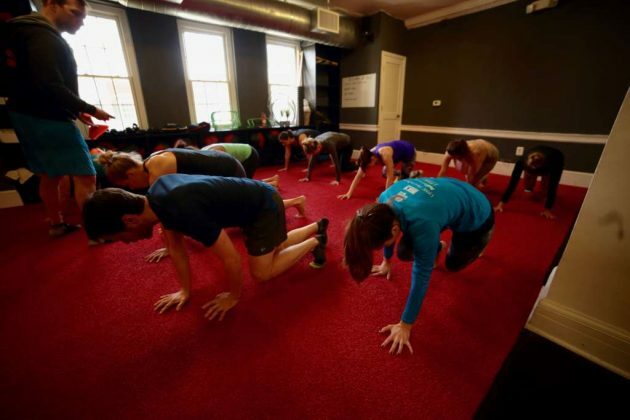 A gym focused on teaching people how to properly bend, move and stretch is slated to open in Dupont next week. 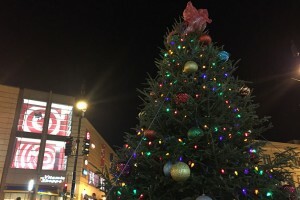 D.C.-based fitness chain Urban Athletic Club will open its new workout studio concept, “Reset,” at 1742 Connecticut Ave. NW on Dec. 10, according to company founder Graham King. Reset won’t focus on the gut-busting workout routines. Instead of fast and furious cardio or weightlifting sessions, the gym’s trainers will teach people how to do a squat and flex their joints the right way. In other words, it’s a gym that caters to people who don’t go usually to the gym. During classes, the studio’s instructors will lead patrons on “dynamic movement patterns, voodoo flossing and foam rolling, active isolated stretching, restorative yoga and Qi gong,” according to a press release. Additionally, Reset will have a quiet meditation room and host regular “Yoga Party” events with a live DJ and a local yogi. But the gym isn’t only for newbies, King said. Reset will also help people recover after a full week of Crossfit or Pilates. And the low-intensity nature of the workouts doesn’t mean they’ll be easy. 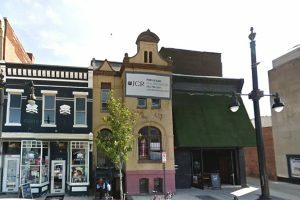 Reset will host its grand opening party at the Dupont Circle studio on Saturday, Dec. 10 from 4-6 p.m.
Police have arrested a 40-year-old man they said tried to run from them after he held up a business on the H Street corridor yesterday afternoon, according to authorities. Alphonso Eric Bell of Southeast D.C. faces robbery while armed and unlawful possession of a firearm charges in connection with the crime, police said. Information on his lawyer wasn’t immediately available. Bell is suspected of stealing $1,000 in cash at gunpoint from a commercial building on the 1200 block of H Street NE, police said. But authorities haven’t identified the business where the crime happened about 5:15 p.m. Monday. Cops in the area saw Bell run inside the building and heard a commotion. He left the location soon after, and officers pursued him. The officers caught him about a block away and found a .40 caliber semi-automatic handgun with 12 rounds in the magazine and one round in the chamber. Cops also recovered the stolen money. 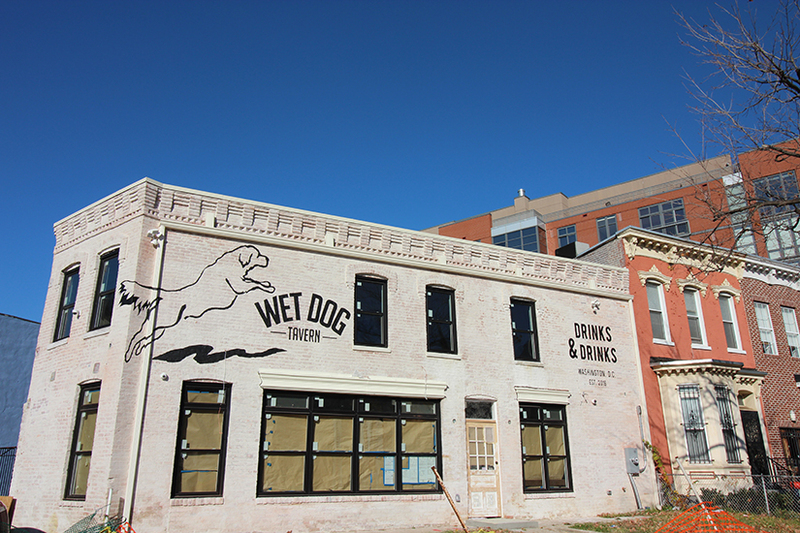 A new watering hole near U Street is set to start welcoming pups and people by mid-December. Wet Dog Tavern, a new “dog-friendly” beer garden, is set to open its doors at 2100 Vermont Ave. NW in a matter of weeks, according to general manager Raj Lal. 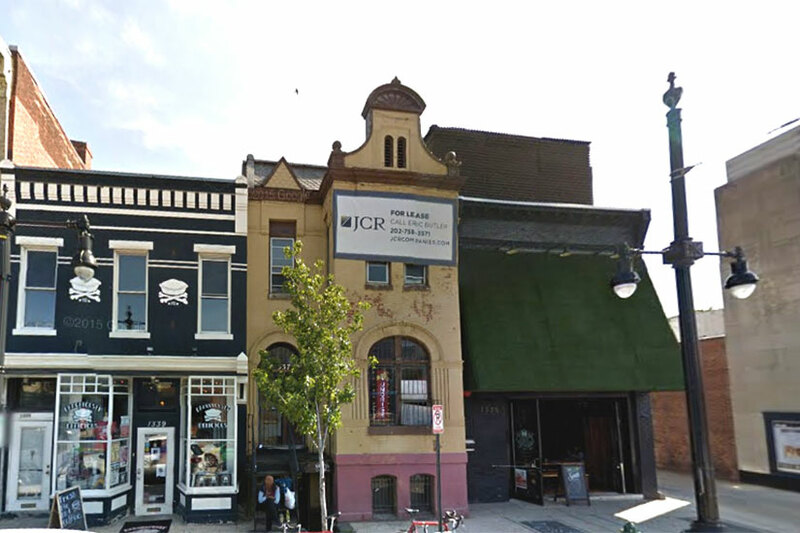 Though the bar was originally slated to open over the summer, some construction and permitting issues have delayed that process. When the bar finally opens, it will serve beer, wine and seasonal cocktails. The idea, Lal said, is to keep things simple and unsophisticated. 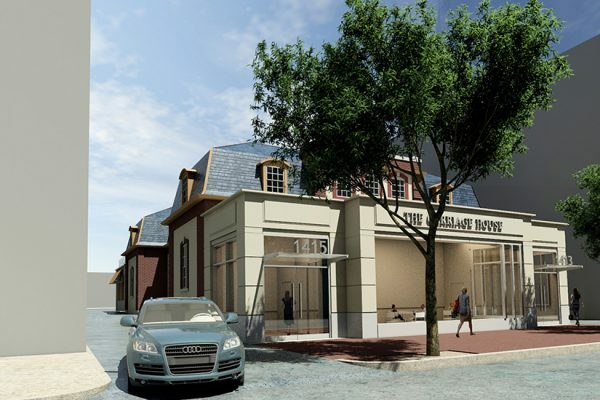 Patrons can sip their drinks in a heated outdoor beer garden that will be large enough for about 75-100 people. The tavern’s interior will hold between 35 and 50 people, Lal added. As the name implies, customers seated in the outdoor area can bring along their canine companions. A group of people wanted in a robbery in which thieves beat a man unconscious in Columbia Heights this month have appeared in surveillance footage, according to authorities. The violent robbery happened on the 3600 block of 11th Street NW about 9:30 p.m. Monday, Nov. 7. Video police released yesterday shows five people walking around the Walgreens in Chinatown. At least two of them buy items at the store. The people in the footage used the victim’s credit cards, according to authorities. The victim lost his wallet after a group of people punched and kicked him, causing him to lose consciousness. 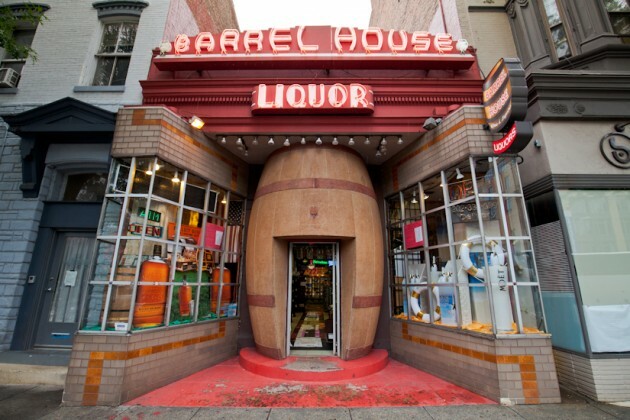 Borderstan Blueprint is a listing of interesting events for the week ahead across D.C. If you’d like to see your event featured, fill out our event submission form. The recreation center will host a cooking class put on by The Georgian Table, a local blog dedicated to sharing the cuisine and culture of the country. A crowd of total strangers will meet to sing pop songs related to a particular theme. This month’s theme is “cravings,” or songs about longing and desire. This month’s “Queer Girl Movie Night” at Mount Pleasant indie theater Suns Cinema will serve as a post-election “space to heal,” according to organizers. The movie night regularly highlights films that elevate queer women. The Bloomingdale chicken restaurant and bar will celebrate its first birthday with $1 specials and shots and (presumably free) high fives. The historic Dupont Circle mansion and museum is scheduled to hold a three-day holiday market beginning Friday afternoon. 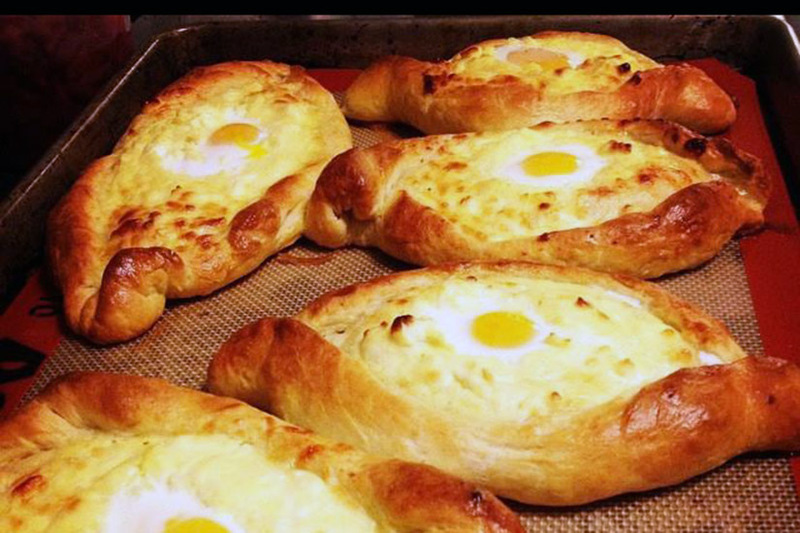 More than 40 local artisans and vendors will set up shop at the mansion to sell their wares. How did the neighborhood get its start? How did racial housing policy shape the neighborhood’s development? How is the neighborhood now being “sold” to the public? Scholars will help answer questions like these and more during this discussion. 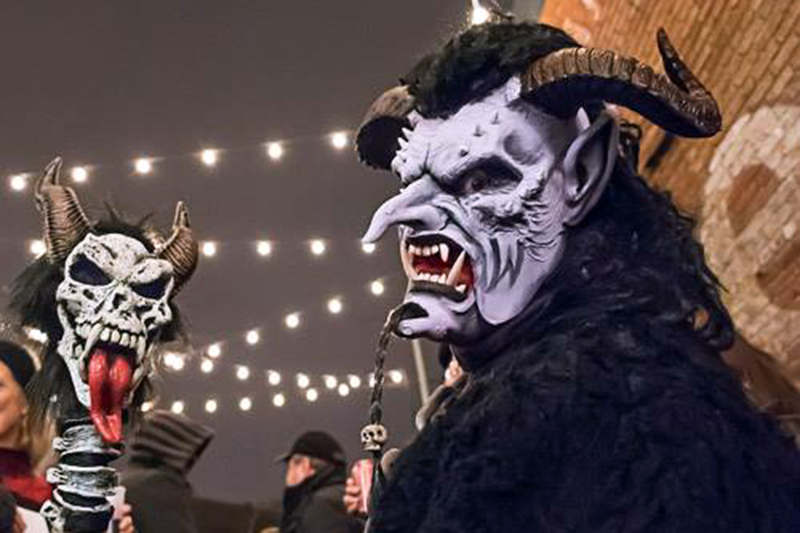 This year’s annual tree-lighting party will include complimentary cocoa, candy canes, carol and maybe even a visit from Santa. During the festival, “a stellar group of local tamal makers” will dole out samples and compete to see who steams the best tamale.